Things to consider while implementing PPP and lessons from other models. An HE report. 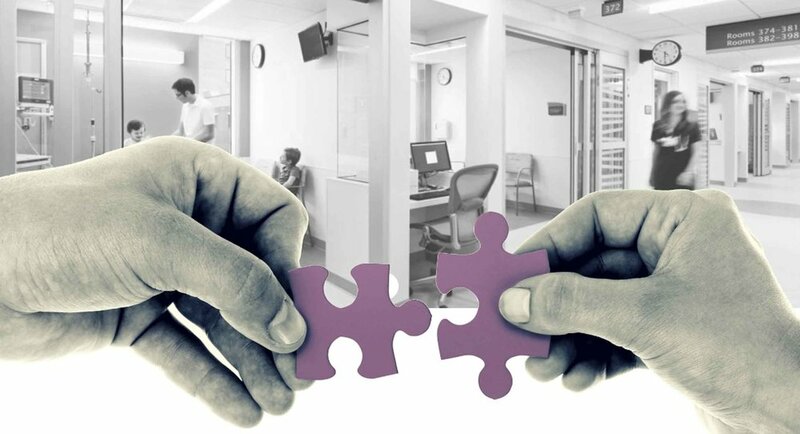 The public-private partnership approach in healthcare covers a wide range of models. In partnership arrangements, the private-sector partner is typically responsible for arranging financing. Many combinations of the public-private mix are possible for healthcare assets, with considerable diversity in the way risk management, financing, and payment mechanisms are structured. Partnership variants exist along a spectrum, determined by the degree to which various services and facilities are “bundled” within the contract. At one end, an “accommodation-only” model embraces only the building and related services--for example, a hospital facility, the associated “hard” facilities management (building maintenance), and sometimes “soft” facilities management (nonclinical services such as cleaning and catering). “This accommodation-only model has been followed in the United Kingdom, where it is known as the Private Finance Initiative, and also in Italy, France, Spain, Portugal, Sweden, Canada, and Australia. The model mostly takes the form of an integrated contract covering design, construction, and finance for the infrastructure and related services such as maintenance for the life of the building,” says Jens Roerich, Professor of Supply Chain Innovation at the University Bath, School of Management UK. A second model, which is in effect an extension of the accommodation model, is used in Portugal. “It involves twin “special purpose vehicles”, or dedicated companies. One, dubbed the InfraCo, is responsible for development and management of the buildings, and the other, the ClinCo, is responsible for clinical services. The critical contractual relationships are between the Ministry of Health, the hospital authority, and the InfraCo, with which there is a thirty-year contract, and the ClinCo, with which there as a seven- or ten-year contract,” explains Roerich, who has studied different types of PPPs in the UK, Europe and around the world. A third model takes the form of a franchise issued to a private for-profit entity, but with strict control by a Ministry of Health or other public authority. The levels of financial reimbursement for medical procedures received by a franchisee are the same as for public or other nonprofit hospitals also in the system. Furthermore, there is no “cream-skimming” of profitable patients; any member of the population must be accepted for any health care intervention offered by the hospital concerned. Germany, Finland, and other European countries are experimenting with a fourth model. In Germany, private companies--notably, Helios Kliniken and Rhön Klinikum--are buying financially stressed municipal hospitals and occasionally university hospitals and are running them under such a franchise from the regional states. Each of these companies partly or entirely owns and manages more than fifty hospitals spread across Germany; other franchisees are smaller. Finally, in a fifth model, public-private partnerships can involve full-service provision, in which a private company--via franchise--delivers both the hospital services and the primary care for a geographical area from its facilities. The company can try to direct patients to whichever level of care--primary or secondary--is cheapest, with regulatory and payment mechanisms in place to maintain quality,” adds Roerich, who has worked with both public and private organizations. Concerning risk management/risk transfer, PPPs are usually managed by ‘risks should be transferred to the party best able to handle it’. However, in reality, quite often the public partner is left with the ultimate PPP risk (i.e. in case the private partner goes bankrupt) as the healthcare infrastructure (and associated services) have to continue to be delivered. national insurance systems play a crucial role in financing innovative models of service delivery which are conceived in the private sector and help make good quality treatment more affordable and accessible for all. “For instance, digital therapeutics, designed to deliver lifestyle interventions for non-communicable diseases including type-II diabetes, cancer and mental health stand out as a good example of low-cost, emerging tech that can be funded through public insurance systems. Flexible financing systems also provide added incentive for companies to address critical health challenges and deploy innovative solutions through public health systems,” she adds. A successful PPP model that immediately comes to mind of many is Tuberculosis control in India. India is home to about a third of the world’s population suffering from TB. Detection and treatment adherence stand out as significant challenges for the public health system. Given the highly communicable nature of the disease, all or any efforts for TB control rest on finding those to have the disease and getting them to adhere to treatment protocols. The public health system’s TB control program was developed and executed with support from multiple private agencies. “The World Health Organization worked with the Government to create the Revised National Tuberculosis Control Program (RNTCP) that provides a reliable set of standard treatment guidelines (technical assistance). A vital component of the RNTCP is the Directly Observable Treatment Short Course (DOTS) strategy, meant to improve the delivery of TB medication. Multiple NGOs and private organisations were roped in to operate these DOTS centres and to introduce innovations such as bio-metric and SMS-based treatment compliance (see Operation ASHA, CARE), which went a long way in improving delivery at the last mile (service delivery), she explains. Other interesting PPP models to look at are in vaccine supply (see GAVI), school-based de-worming, and capacity building/tech support programs for auxiliary health workers. With regards to patients using PPP facilities, this would depend on the country and the health policy in place. In the UK, each NHS Trust (who is responsible for a few hospitals in an area/region) manages patient intake and pays the PPP provider/owner (e.g. bank or construction company) a yearly ‘rent’ to use the hospital. The different PPP models described above from Germany, Finland and Portugal are probably the most successful ones. However, PPP models are difficult to compare to each other due to different features (e.g. different degrees of medical service delivery) and different context (i.e. different healthcare systems; varying policies etc.). In Finland (in contrast to the UK), some PPP hospitals specialised in a few operations and are thus very successful (patient heal quicker, doctors/nurses are specialised etc.). It is important to note that public-private partnerships cover a wide range of models, from (nearly) outsourcing to almost full privatisation. Broadly, it involves a long-term, risk-sharing relationship between the public and private sectors with the objective of bringing about a desired public policy outcome. While there is a range of significant challenges to PPPs, they can also bring about some definite improvements. Potential benefits are said to include the ability to allow health care providers to concentrate on clinical services, instead of managing infrastructure, and increased efficiency in project delivery. For both governments and healthcare organisations, public-private partnerships also are seen as a potential solution for funding shortages due to budget constraints or other factors. In the UK experience of accommodation-only alliances, covering buildings and related services, provides pointers to discuss performance in four broad areas: modernizing and creating healthcare infrastructure (which PPPs have done); improving the efficiency and quality of care (less so); sharing risk to stimulate innovation (some very limited process innovation, but nothing radical) and performance improvement (very limited). The context is essential and also whether the hospital can specialise or offers a broad range of procedures. Which factors are essential for India while learning lessons from other models? One of the challenges/concerns is the possibility that public-private partnerships may restrict competitive behaviour. Even in large countries with an active public-private partnership market, projects can be so large that only a few organisations (e.g. some large construction companies) may be able to bid for them and manage subsequent service delivery over extended periods of time. Transaction costs are high during setup and the operational life of the facility, which only a few organisations can bear. Another concern is possible lack of integration between the clinical models of care and the infrastructure and equipment that should support the clinical models, making it hard to align incentives between the parties involved to achieve high performance. There is also a critique that notions such as value for money (VfM) and risk transfer are regularly conflated; leading to spurious conclusions regarding benefits and costs.